As a follow up to our recent blog post about short chain fatty acids (SCFAs), we thought you may enjoy trying a recipe that incorporates apple cider vinegar, a rich source of the SCFA, acetate. While we don’t yet know whether consuming SCFAs through diet confers any health benefits, we think it can’t hurt to include them in the meantime. 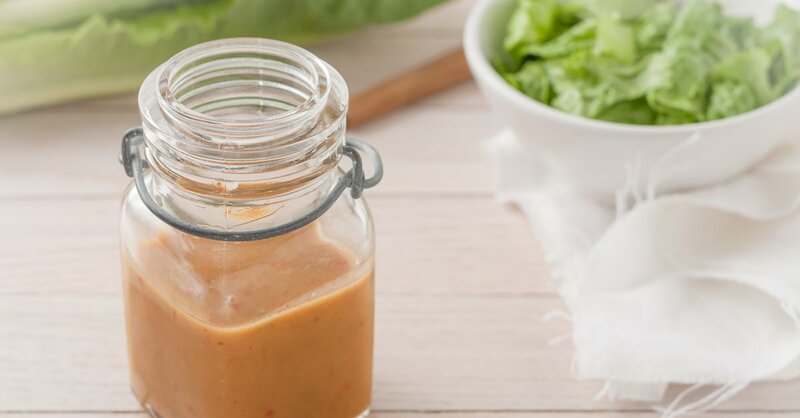 This dressing is a terrifically easy and tasty way to incorporate the SCFA, acetate into your everyday diet. Many salads (see some suggestions under tips) require a dressing and this versatile recipe can be used to enhance their flavour. It is also has a really good shelf life so can always be ready for those quick meals after a long day. Or why not take a jar to work to pour on your healthy lunchtime salads? Measure all ingredients into a jar with a tight fitting lid and shake vigorously before dressing salad.